We are proud to carry! Golden Bone Pet Products - Your Arizona connection for the finest pet beds made! Award winning, World class dog beds. 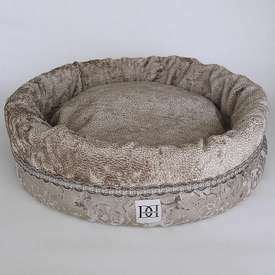 Veterinarian recommended, REAL ORTHOPEDIC DOG BEDS. Joint health for dogs of all ages. 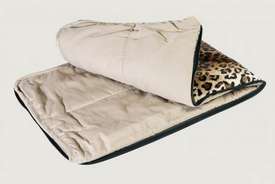 Veterinarian recommended dog beds are made of high quality BuddyRest True Cool® memory foam. 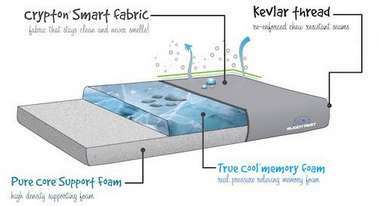 Luxury open cell memory foam is extremely durable, and doesn’t break down over time. Using high quality 4.5lb density foam, this is same type of foam found in high end human mattresses. Regular memory foam gets hot and is not a place your dog will want to lay very long. Not these beds! These orthopedic beds use gel infusion technology to provide a climate managed sleep for your animal. West Paw dog beds get their resilient, long-lasting loft from an unexpected source ... plastic bottles recycled into their exclusive IntelliLoft® stuffing. Tired of stinky dog beds? Wash n Zip Pet Beds are THE cleanest dog bed! You can wash the whole thing, ANY SIZE! Not just the cover so the “clean” goes all the way through! Fully Machine Washable and Dryable. 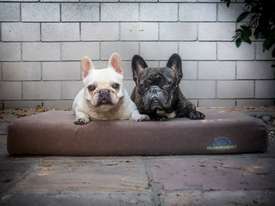 Best idea in dog beds we've seen in a long time! The Wash 'n Zip Pet Bed has been designed to withstand years of washing without pilling, clumping, or fraying. It’s made with rugged materials – such as extra-strong stitching, a heavy-duty zipper, and a 70% cotton 30% polyester khaki surface material, this bed will last for many years. Best of all, it is super-easy to COMPLETELY wash --thus minimizing odors, germs, and fleas! Both in stock and custom orders available through Golden Bone Pet Products. 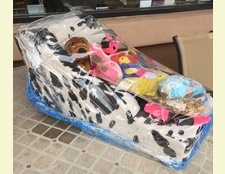 We’ll work with your interior designer to come up with something utterly unique in pet beds, kennel couture or luxury throws! When you’re looking for something flat out spectacular to go with your décor, your dogs’ opulent life style, something to satisfy your taste for something luxurious and stunningly beautiful. Welcome to our pet store website! You can purchase the products shown on this website at our Sedona pet supply store or if you live out of the area call our store at 928.567.5555 during normal business hours to arrange your purchase to be shipped to your home! Come on in and see what everyone is talking about! Golden Bone Pet Products was voted Best Pet Shop in Sedona by 2015 Market Surveys of America 15th Annual "Best of the Best" This comes on the second anniversary of our opening the store in Sedona. Thank you to all our loyal customers and friends for your support, your trust, confidence and your patronage! Thank you for making it possible for us to stay and serve the pets of our community! Frequent updates on new products, sales and our anniversary celebration. 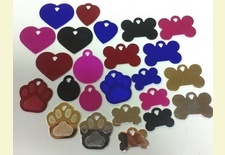 Did you know you can get pet tags engraved, while you wait, at Golden Bone Pet Products? Watch for the following pet products to be "Coming Soon" to our online store!